This post was first published at Learning Corporate Finance as part of the launch campaign for Finance Training Videos. It is embarrassing to confess but it is a question that stumped me the first time a student posed it. What is N(d1) and how is it different from N(d2)? The difference is as subtle and fundamental to derivative pricing as is fission and fusion in nuclear physics. In today’s volatile markets a subtle oversight is all it takes to land you right in the middle of a core meltdown. Over the years I tried different explanations, carefully measuring each trial’s confusion potency. Most explanations around Black Scholes turned bright, smart, hard working exec MBA students into glassy eyed zombies within a few minutes. At times I also wondered what if that sharp trader at the Goldman interview in London had posed this stumper. Would my answer and my life turned out differently? So when we were done with our very first video based risk training offering focusing on value at risk and capital, I knew that the next course had to be on explaining N(d1). Fortunately for me a ready audience of 30 students awaited me at the SP Jain campus to try out my latest thought experiment. Together we broke the Black Scholes equation down and put it under the microscope using the Monte Carlo simulator as our lens. I can safely say that led to some very interesting conversations. We finally understood what conditional probabilities mean after a little bit of pain. But there is only one way you can find out if there are thirty zombies waiting for you in LC-1 at Academic city. No peeking; Try out the new Understanding N(d1) course now. When you are running a 10,000 trial Monte Carlo simulator it is difficult to stop with just N(d1). An expanded version of the course walks you through the process of building the entire Monte Carlo simulation in Excel and then helps you extend the same model to pricing Asian, Knock In and Knock out options. If all this talk about simulation and obnoxious variables turns your stomach you can also try our much lighter, philosophical peace offering, the Quant Crash Course for non-Quants. Try any of the three courses before 31st March 2011 and take advantage of our US$ 99 launch prices valid only for the launch month of March (our Ides of March discount). Effective 1st of April prices revert back to their normal US$ 199 price tag. Later modules scheduled for release post March cover tools to reduce variance, increase price convergence as well as add additional products in the FX arena including digitals, binaries, participating forwards and structured packages. With the introduction of video based training traffic at the site has really surged in the last two weeks. If for some reason you get timeout errors especially with video sessions please drop me a note and bear with us while we work at scaling up our streaming server capacity. This week we expect to break 3,000 weekly visitors and 8,000 weekly page views. 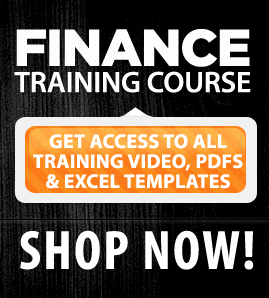 As of March, the Finance Training Course platform has already crossed 60,000 visitors and 135,000 page views, with traffic doubling every four months. We wouldn’t be here without the role all of you have played over the last four years in getting Finance Training Courses and Alchemy to where they stand today.